I purchased a tree net last year &amp; it was an outstanding success! it goes on &amp; comes off without snagging &amp; I had a magnificent crop of granny smiths as a result: Helen 1 - Birds 0!! I will be purchasing another for my pear trees this year! The Fruit Saver Garden Nets I purchased are working well ....they are excellent quality netting and relatively easy to install . The Fruit Saver Fruit Tree Net, is a fitted box-shaped net providing natural protection for fruit trees, against birds, bats, possums, and insects, including fruit fly and codling moth. 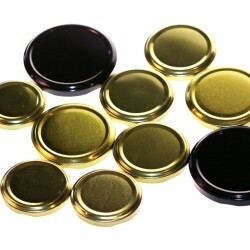 Environmentally friendly, it avoids wasting money on harmful chemical sprays, bird scarers, ultrasonic devices or baits. Fruit Saver Fruit Tree Net, is ideal for organic fruit production. Fruit saver comes in 3 sizes. This listing is for the Large Fruit Saver which has a 2.5m sq roof and 2.5m skirt with 3 side pleats providing a circumference of 13m. The net has an overlapped opening on one side, allowing easy installation and access to fruit throughout the picking season, without the need to remove the net. The opening can be closed with a couple of wooden pegs. Fruit Saver Fruit Tree Net, is made from white, UV-stabilised HDPE, woven monofilament 2mm netting. Small mesh and 15% shade factor help guard against hail, wind and sunburn damage, while providing sufficient light and airflow for healthy fruit production. The Fruit Saver Fruit Tree Net, net can be placed directly over the tree canopy, gathered around the trunk and tied with twine. Do not install the Fruit Saver Fruit Tree Net, net over the fruit tree until blossoming has finished and fruit is set. This allows the bees and other insects to complete pollination. Fruit Saver Fruit Tree Net, is wildlife friendly due to its colour and the small size of the mesh which prevents birds and animals from becoming snagged. The Mini Fruit Saver Fruit Tree Net, is suitable small stone-fruit, citrus, apples, figs, guavas, pears, persimmons as well as tomatoes and other vegetables. We recommend keeping trees pruned to a manageable size. With care, your Fruit Saver Fruit Tree Net, net will last many seasons. 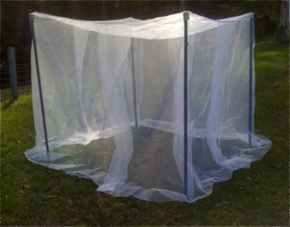 Veggie Saver is a tent-shaped garden net providing natural protection for vegetables, against insect.. 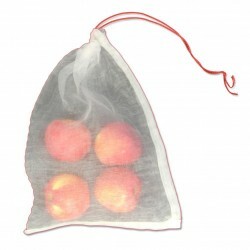 The Fruit Saver Fruit Tree Net, is a fitted box-shaped net providing natural protection for fruit tr..
Fruit Saver Drawstring Bags are suitable for fruit which is difficult to protect.Drawstring bags.. This item is a Single Piece of Vege Net or Vege Cloth 6m x 10m. This single piece of net is used.. This item is a Single Piece of Vege Net or Vege Cloth 6m x 20m. This single piece of net is used.. 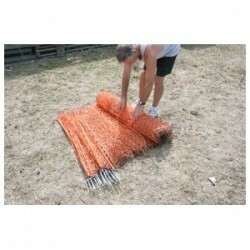 This Single Pack of High Quality 5m x 5m Bird Net is best for protecting and covering fruit tree.. This Single Pack of High Quality 10m x 10m Bird Net is best for protecting and covering fruit tr..
Packet of 10 assorted sizes Twist Top LidsRecycle your supermarket-bought bottles and jars!I..
Citrullus vulgaris -- OGA Certified Organic - Grown at Greenpatch Organic SeedsWatermelon prefer..